Nairobi, the capital city of Kenya, with a population of about 3.36 million, is one of the most prominent cities in Africa, both politically and financially. Home to thousands of Kenyan businesses and over 100 major international companies and organisations, including the headquarters for two UN global agencies and several regional ones, Nairobi is an established hub for business and culture. In the 1990’s and early 2000’s, Nairobi was grappling with rising crime and violence and the central business district vacated in the evenings. In 2001, a victimization survey conducted in the city centre showed that 37% of Nairobi citizens had been victims of a robbery in the 12 months preceding the survey. Of all Nairobi residents, 54% felt unsafe during the day and 94% during the evening in the City Centre. Moreover, 72% of all residents avoid travelling and working after dark. Former Deputy Mayor of Nairobi, Joe Aketch, was adamant to turn the city around and create a 24-hour economic hub, envisioned in the Vision 2030. A women’s safety audit walk was conducted in the central business district after dark with the participation of Deputy Mayor, the Minister of Local Government, the Head of City Planning, the Head of the City Environment Department and a few other key stakeholders. The safety audit walk was an eye-opener for decision makers. The stakeholders observed that many streets were in complete darkness and that the businesses along the most vibrant streets were closed; metal curtains blocked all lighting onto the streets. 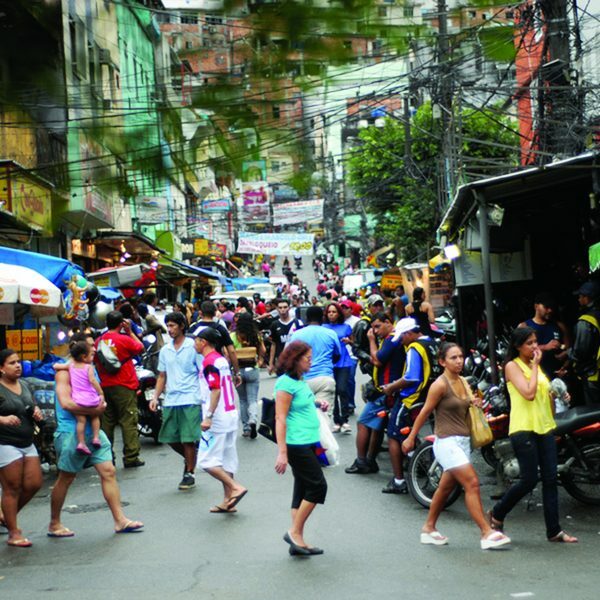 The restaurants and cafés were closed to the street and were only inhabited by security guards and homeless families. As a pilot, the City decided to pedestrianise one of the busiest streets with a movie theatre, a bookstore, shops and cafés: Mama Ngina Street. The City Council began the discussion with the local business community who were vehemently against the pedestrianisation, arguing that their clientele required car parking just outside of the establishment they were visiting. The intense discussion between the City Council and the business community ended in a compromise. 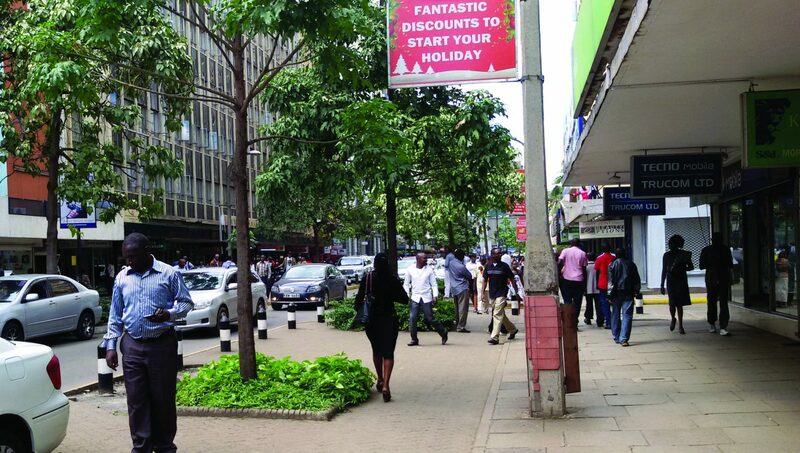 Together, they decided that instead of a full-scale pedestrianisation along Mama Ngina Street, it would be converted into a one-way street for cars and the sidewalks on both sides would be expanded. These changes would allow for more flow and ease of movement. Additionally, benches were placed at regular intervals in shaded areas, allowing people to sit and enjoy the street. The street lighting was also enhanced, to create more security and a better perception of safety while using the place at night. Another proposal was to offer more space to the cafés, allowing customers to spill over onto the sidewalk, in hopes of creating more eyes on the street and making passers-by feel safer in the evenings. Unfortunately, the city by-laws—dating back to the 1950’s and 1960’s—did not allow for this. Many of the old colonial by-laws are still in effect today, and many effectively hinder uses of public space. The Council has started a process of reviewing the out-dated by-laws but has not yet approved any changes. 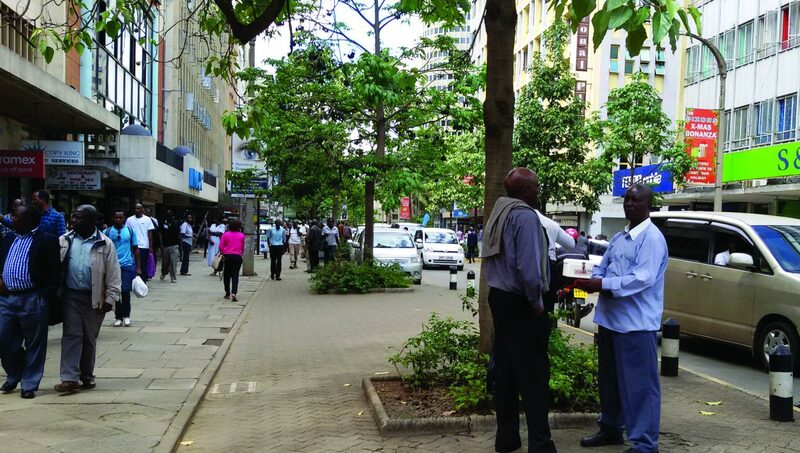 Despite setbacks with the by-laws, Mama Ngina Street has become a pleasant and well-utilized public space in the city. Several new bars have opened, enhancing the evening program on the street, and the street vitality has drastically improved. The changes in traffic flow and sidewalk space, plus lighting and street furniture, has resulted in a very vibrant area of the central business district. More people meet, sit, and enjoy the street. Now it’s common to see people congregate in one of the corners to discuss various happenings and current affairs, particularly socio-political issues. 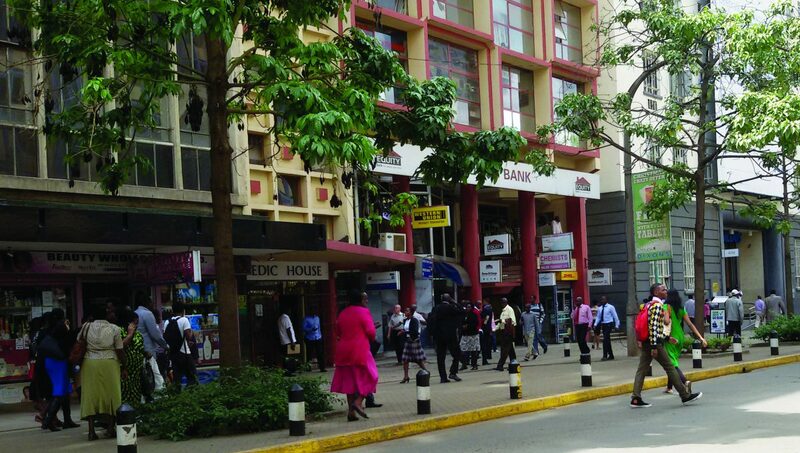 With limited financial resources from city, the physical changes to the street have created a very vibrant street where the citizens of Nairobi can enjoy the central business district both day and night. 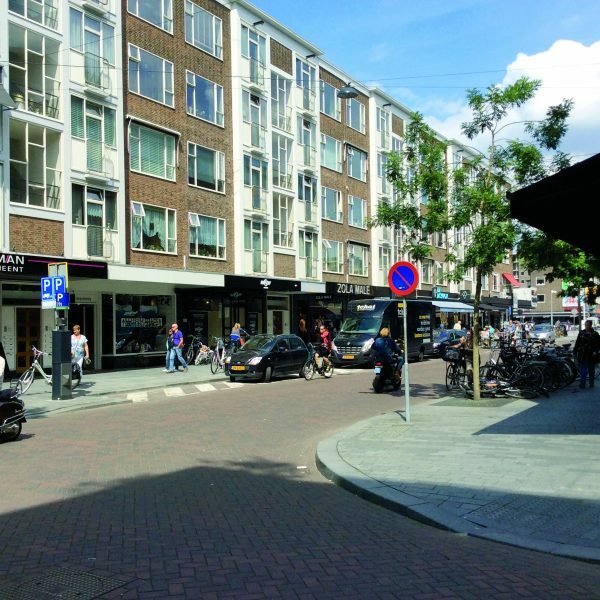 A next step for this project is perhaps to temporarily pedestrianise certain streets in the business district, as a way to promote the initiative to the business community. Pragmatic partnership between the local business community and City or County Government was key to the successful win-win implementation of this initiative. It is important for local parties to have “ammunition” (like research-based evidence) available at their disposal to convince the business community on the benefits (and costs) of pedestrianizing streets in business districts. 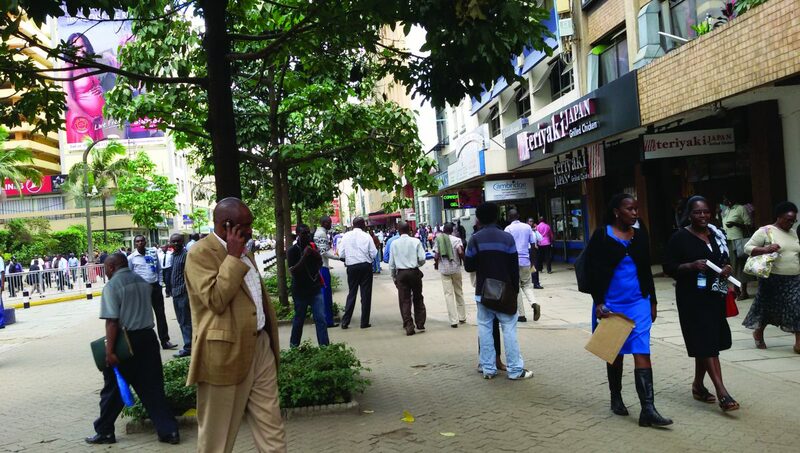 City by-laws and other regulations need to accommodate pedestrianisation of a central business district and, as in the case of Nairobi, this may entail reviewing and amending the by-laws in order to allow for change. The key is to have a high-level political champion within local government to drive the initiative and ensure that the important decision-makers are convinced and supportive.